The world is changing. I’m sure you’ve noticed this. School is different for your kids than it was for you. The political environment is unlike anything you’ve seen before. Societal values have shifted radically. And something about your church is different, too. Things are changing for the Church in North America. Estimates are that around 80% of churches in North America are plateaued or declining. For many churches, it seems things don’t work like they used to: attendance is down, volunteers are harder to come by, programs don’t succeed like they once did, and the church is not as important to the rest of the community as it used to be. And if that wasn’t challenging enough, some of the solutions we try just make matters worse. There are some common responses to these struggles that actually hurt more than help. One of them is to blame the pastor: “Things would be better if we had a better pastor.” Another reaction is to say, “We’d be growing and healthy if we had the programs that we did thirty years ago.” Still other responses might be to blame a lack of effort in current ministries: “This isn’t working because we’re not trying hard enough.” Chances are those aren’t the solutions that will make a difference for your church. Maybe you’re reading this and thinking, “Wow, that’s depressing,” or “What a relief!—It’s not just our church that is facing this challenge.” Please keep reading! There’s good news. You’re not alone in facing these challenges—others have been facing them and have been figuring out their cause and how to address the situation. There are strategies and solutions that have started to work for other churches and it may be that they can work for yours as well. It may mean letting go of some long-held viewpoints about how ministry should be done, but it won’t mean changing your theology or your high view of Scripture. Many churches are realizing that, given how much our world has changed—the Church hasn’t. I’m not talking about changing what we believe. The problem is that our culture is no longer able to understand the way the Church communicates the gospel message. Many churches are set up to draw people into a worship service and expect the visitor to figure out how everything works. But today most people do not go looking for a church on their own. Most people don’t know much about Jesus, the gospel, or the Church. In fact, they probably don’t trust the Church. 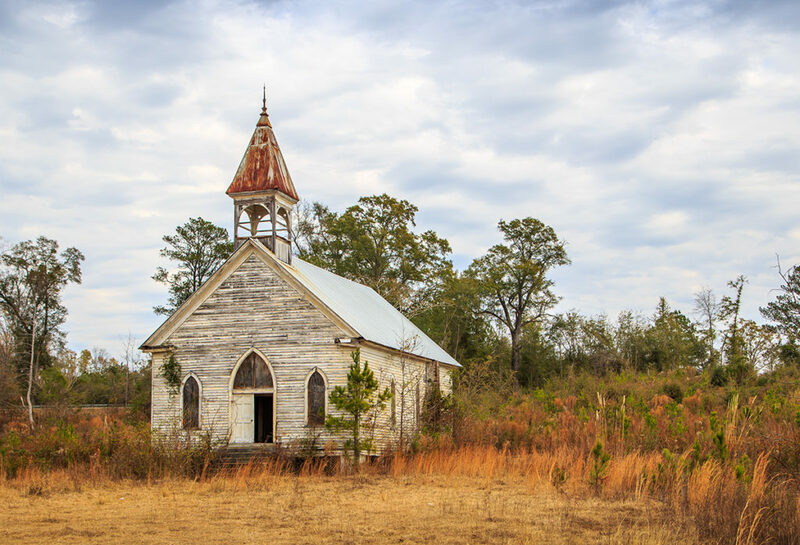 Most churches are still geared to draw in people who already know something about the Bible, Jesus, the gospel—people who are on the lookout for a church. That really narrows down the number of people that will ever be likely to join that church. And on top of that, most churches commit the bulk of their finances, programming, and energy to minister to people who are already attending, involved, and saved. We have become distanced from part of our mission to make disciples. In Matthew 28:18-20 Jesus told his followers, “All authority in heaven and on earth has been given to me. Therefore go and make disciples of all nations, baptizing them in the name of the Father and of the Son and of the Holy Spirit, and teaching them to obey everything I have commanded you. And surely I am with you always, to the very end of the age.” Some churches are good at helping disciples mature. But many churches forget to, or struggle to, make new disciples. The more a church is disconnected from God’s mission of making disciples (both in quantity and in vitality), the more likely it is facing visible symptoms of decline. What do we do about that? According to missiologist Reggie McNeal, churches are discovering that Christians need to think of themselves less as “club members” entitled to services and privileges from their church staff, and more as “missionaries” called to personally share the good news in their workplace, community, and network of relationships in a way that people can understand. When we think of missionaries, we think of the dedicated church planters who travel across the world to share the gospel overseas. But they aren’t supposed to be the only missionaries. You and I are living in North America, the third-largest mission field in the world—only behind China and India. We are called to join God in his mission. That makes us missionaries. Does your church need to make this “club member” to “missionary” shift? To go from being internally-focused to being outwardly-focused? William Temple famously said, “The Church is the only institution that exists primarily for the benefit of those who are not its members.” Can we be churches like that without sacrificing our beliefs? Yes, we can. We can look to Scripture for guidance on how to navigate the times we live in today. In some ways, we have more in common with the Church of the New Testament than the Church of 50 years ago. The New Testament Church was a minority group, outsized by other religions, and seen as an illegal sect of Judaism. Christians had to face persecution and misconceptions about Christ and their faith. They learned how to proclaim and live the gospel together, going out into their world, joining God in his mission. In so doing, God used them to change the world. In 1 Peter 2:5, Peter says to us, “You also, like living stones, are being built into a spiritual house to be a holy priesthood, offering spiritual sacrifices acceptable to God through Jesus Christ.” Scripture tells us that we are, together, the Church. It’s not our building or property, or our programs. It’s the people of the Church. Because of that, we can change our focus from going to church to being the Church. From going into our buildings to going out to our communities. As we begin to see ourselves as missionaries to our community, and act accordingly, this can open the door to other transformational discoveries that bring life to our churches: engaging worship, empowering new leaders, changing ineffective structures, spiritual vitality, and more. I challenge you to take this journey to recover God’s mission for your church—let’s all go! Rev. Ryan Nilsen, D.Min., serves as pastor of Praise Christian Fellowship in Barkhamsted, Connecticut and as director of Fifth Act Church Planting.